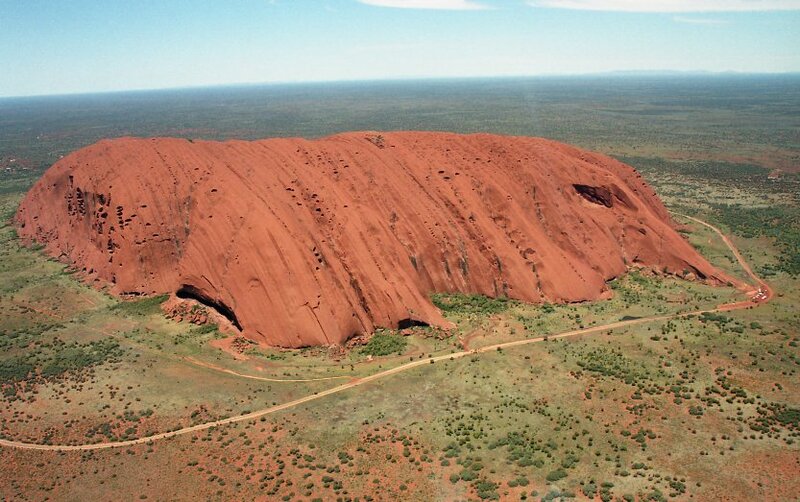 This photo of the Uluru was taken from a helicopter. Since taking photos has been forbidden on several places around the rock (5000 Au$ penality) , a scenic flight along the Uluru seems to be a much better choice. On the right side you see the hiking track up to the top of the Uluru. Despite the fact the Aboriginal people don't want tourists to climb onto the top of the Uluru, it is still allowed to do that.